Santa Fe Property Management, Santa Fe Property Managers, Santa Fe, NM Property Management Companies. Landseer Management has more than 30 years of market and industry experience to call on. This vast industry and market knowledge helps to maximize rental proceeds, minimize annual operating costs, and find good responsible tenants. Landseer Management offers multiple property management and leasing services to alleviate the headache from your rental property and help to ensure steady and consistent income. We have a thorough screening process that helps to identify the right tenants for your property. Our team works hard to keep both owners and tenants happy through effective communication, fair lease agreements, and timely monthly rent collection. Our Rental Analysis Report helps owners make data-informed decisions about their rental property, including rate estimates and other information so they can invest and manage investment property wisely. Get started with your FREE RENTAL PRICE ANALYSIS by completing the form . We'll be happy to help! Landseer Management oversees everything, allowing you to sit back and relax and know that your property and your tenants are in good hands. We offer maintenance services to enhance the property and ensure that it will retain or increase in value. Currently, we offers our comprehensive property management services to Santa Fe and Taos and their surrounding communities. Our team has experience managing all different property types from single family homes to commercial office and retail space. We can tailor our services to meet your needs. Once the lease has been signed everything is turned over to the owner for management. Landseer Management is Proud to be on the cutting edge, offering full service, in-house maintenance. We have a licensed contractor and plumber on staff (GB-2, GB-98, and MM-1). Landseer has developed a preventative maintenance program with inspections and checklists to give our owners detailed information on the condition of their home it’s systems. These inspections include itemized detail and repair estimates for all deficient items in the home. These inspections will help the owner to develop a maintenance schedule to catch up on deferred maintenance and maintain quality over time. This service is tailored to the Owner/manager similar to our lease only services. Owners can contract with our maintenance depart and have 24/7 on call maintenance available for themselves or if they prefer for their tenants can also call us directly. We can customize your plan to be specific to certain types of issues (plumbing emergencies, no heat, roof leaks etc.) and to not exceed a certain cost without additional owner approval. 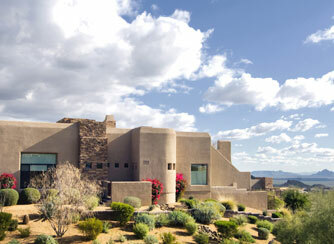 This service is also great for the owner/manager operating a vacation rental in the Santa Fe or Taos areas. The city is well known as a center for arts that reflect the multicultural character of the city; it has been designated as a UNESCO Creative City in Design, Crafts and Folk Art. Tourism is a major element of the Santa Fe economy, with visitors attracted year-round by the climate and related outdoor activities (such as skiing in years of adequate snowfall; hiking in other seasons) plus cultural activities of the city and the region. Some visitors find Santa Fe particularly attractive around the second week of September when the aspens in the Sangre de Cristo Mountains turn yellow and the skies are clear and blue. Are you maximizing your rental's potential? Get started with a free analysis of your investment and see how we can help! Copyright 2019 Landseer Management. All Rights Reserved. Property Manager Website powered by PMW.